The US wants to hold working-level talks with North Korea without set preconditions, a senior Korean government official said Thursday, amid Pyongyang’s continued silence in its denuclearization talks with Washington. “I heard that Washington’s position is ... that it wants to meet North Korea at working-level negotiations without any conditions and listen to what the North wants first,” the official said on condition of anonymity. Denuclearization talks between the US and North Korea appear to have stalled, with North Korea not engaging the US in working-level or senior-level negotiations to follow up on North Korean leader Kim Jong-un’s pledge to work toward complete denuclearization. Behind-the-scenes contact between the US and North Korea has reportedly continued, though no senior-level or working-level talks have been arranged yet. Pyongyang has not responded to Washington’s call for meetings, according to diplomatic sources. North Korea on Thursday blamed the US for the deadlock in the talks through its state-run news agency, calling for Washington’s “corresponding measures” in return for all the actions Pyongyang has taken, including the dismantling of its nuclear test site in Punggye-ri and a halt in nuclear and missile tests. The corresponding measures North Korea wants from the US are believed to include sanctions relief, while the US has maintained that sanctions can only be eased if Pyongyang takes concrete steps to end its nuclear program. US President Donald Trump seeks to hold a summit with North Korean leader Kim early next year. “The US said that it is not in a position to define what it seeks from North Korea at the minimum (from the second summit between the US and North Korea) as negotiations always involve two parties,” the official said. Meanwhile, Cho Yoon-je, South Korea’s ambassador to the US, stressed that the US is South Korea’s most important ally, sharing the strategic goal of denuclearization and peace on the Korean Peninsula. “South Korea and the US at times have had different approaches to certain issues, but we have always candidly talked to each other and maintained cooperation based on trust and friendship,” he said. “Through the process, South Korea-US relations have become more solid and closer in the past year,” he said. 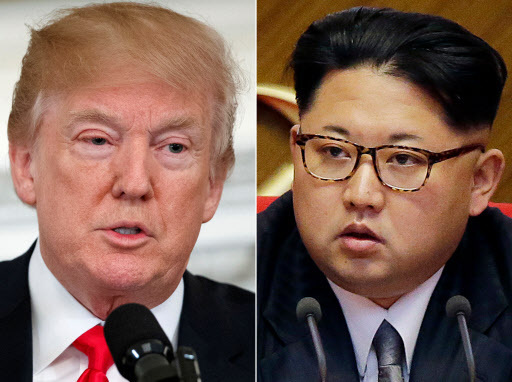 There has been speculation of a rift between the allies over their approaches to Pyongyang and fast-paced inter-Korean developments that could undermine the US-led pressure campaign. Last month, the two sides launched a working group to better coordinate their North Korea policy on denuclearization, implementation of sanctions and inter-Korean cooperation.